Wycombe District Council uses a number of accommodation sources for temporary accommodation, including the council’s hostel, Saunderton Lodge, which has 33 mainly bedsit type rooms and accommodates single person households as well as families with children.Saunderton Lodge , managed by Hilary and Sarah Bull, promotes the good health of parents and their children and assists in the re-settlement of residents, through the provision of support, education and practical advice. The Rotary Club Princes Risborough (RCPR) recently helped to refurbished the Den/playroom at Saunderton Lodge. 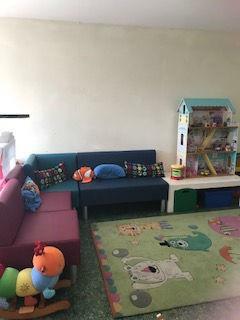 The Club has purchased new seating for the Playroom funded by donations and a grant from Rotary District 1090 whilst several members of RCPR have recently repainted the room. 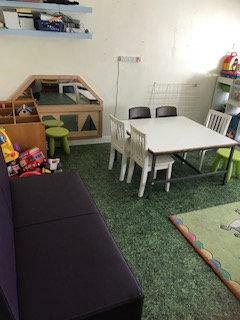 The den/playroom is the only communal area of the lodge and is used for a great variety of activities/lessons including: Healthy eating, cooking skills, baby massage, therapeutic arts, educational play/games, life skills, parenting skills, communication skills, children’s well being and adult and child yoga. The room is also used for visits from professionals including: Health visitors weighing advice and assessment; Midwives; social care meetings covering both mental health and child protection/in need; sexual health for all; housing meetings and sign up for permanent accommodation; counselling sessions for both residents and staff. Previously the room was only furnished and equipped with old and second-hand/donated items most of which were in urgent need of replacement and not really fit for purpose. This was especially true of the soft furnishings in the room. The Rotary Club was successful in obtaining a maximum Rotary Foundation District Grant of £1500 for the project which club members agreed should be matched by a donation from the Cub’s Charity funds. The new, purpose-built modular furniture was purchased from The Cube Company of St Albans and consists of a corner unit, 2 x 2-seater sofas and 2x single seats. This will provide maximum flexibility in layout and it is all in a faux leather fabric for easy maintenance and cleaning. This furniture cost a total of £2322. 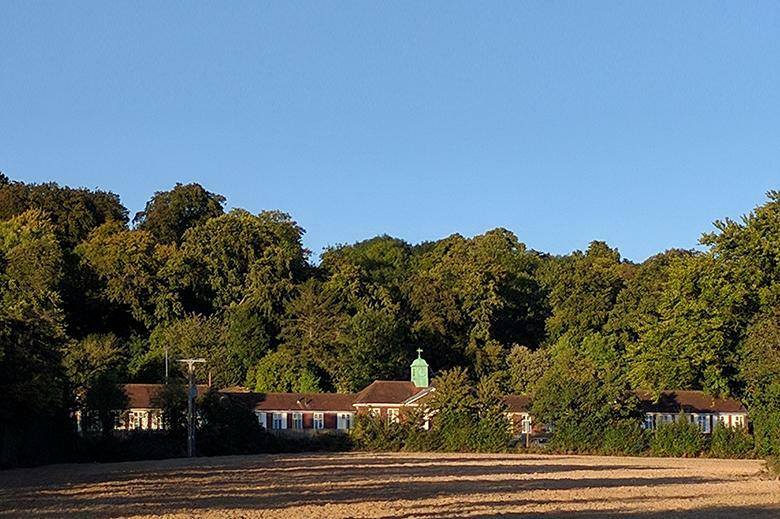 The balance of the Grant and donation will be used to purchase new storage units for the room and Sarah and Hilary are currently in the process of researching the most suitable and best value options for this equipment. The following note expresses thanks received from the staff and residents of the lodge who also provided some photos of the newly decorated and furnished playroom. Photos as promised of the playroom with our new seating from Princes Risborough Rotary. Many thanks - makes a real difference to the room. The residents were really pleased and helped to sort and plan how they wanted it set up yesterday. Please pass on our thanks to everyone for the painting and new furniture! !